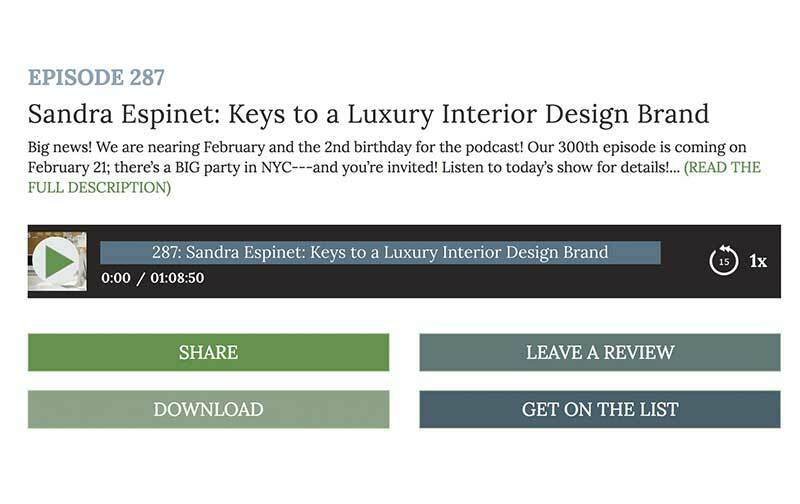 If you’re an interior designer, you probably know LuAnn Nigara’s podcast A Well-Designed Business®. 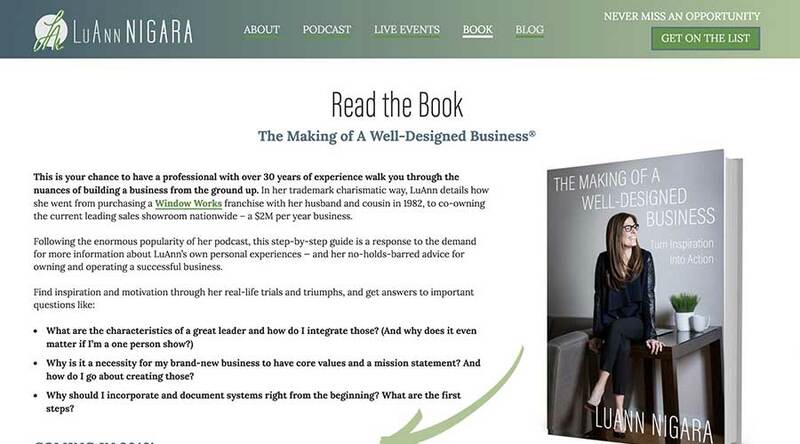 After decades of business ownership, LuAnn burst onto the podcast scene two years ago and has become a go-to resource and sought-after speaker. Her interview style is as entertaining as it is thorough. 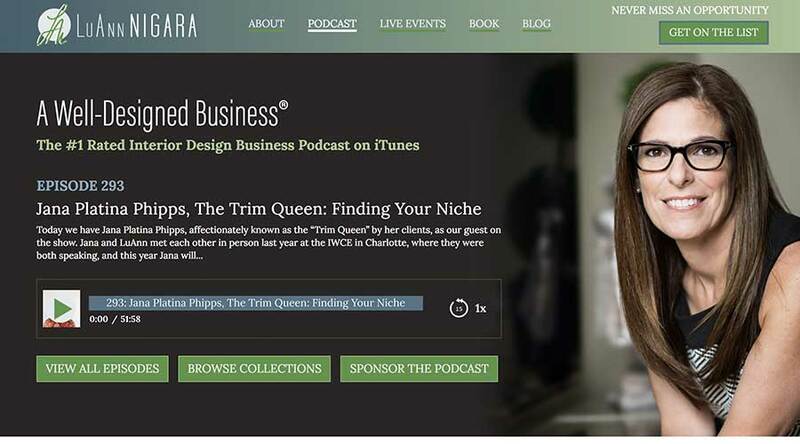 Her book is a must-read for interior designers who own their own business. 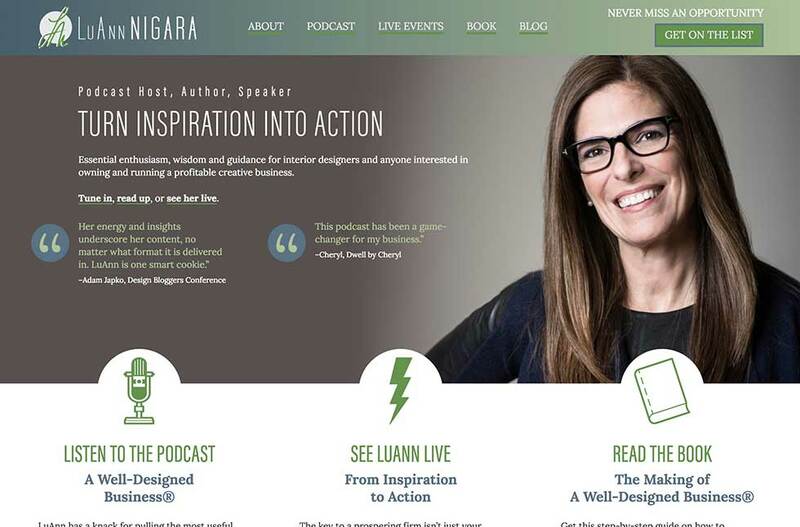 LuAnn needed a recognizable visual brand and a hub—one place on the internet to explore all that she has to offer. 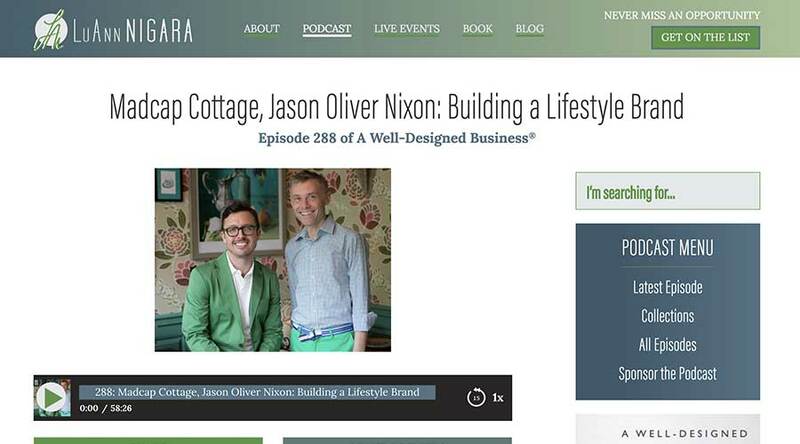 The podcast already had a logo of sorts—an image that includes a potted plant—and “podcast green” was most definitely going to kick off the color palette. 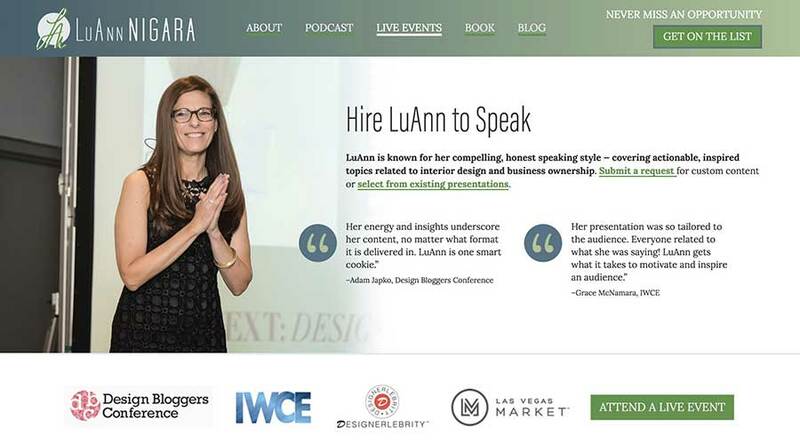 We ended up using LuAnn’s own handwriting to create the logomark, rounding out the color palette with a rich blue and two variations on grey. Most podcast listeners are catching episodes on their favorite podcast platform—iTunes, etc. But the user who visits a podcast website is in search of more: detailed information about the show/host, other resources or maybe an episode that they listened to ages ago. We, of course, included a search function. 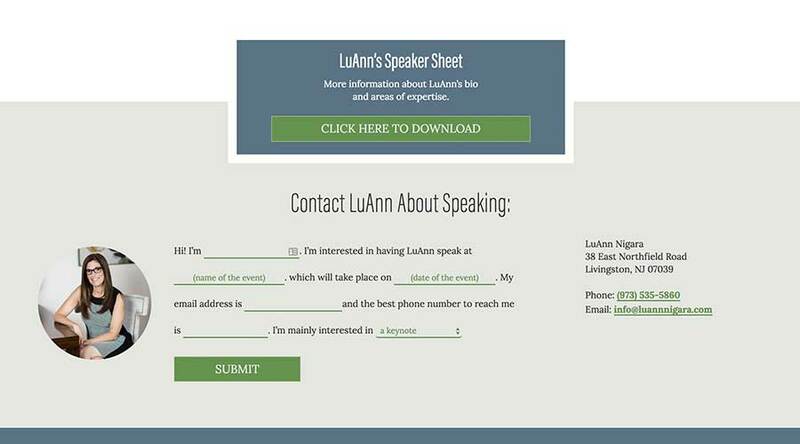 But we also proposed a series of “collections”, allowing a newer listener (or anyone, really) to sample LuAnn’s show with a topic that interests them. “I would, without question, recommend Curio Electro. In fact, I tell anyone who might be even remotely interested in understanding their brand message—and then having a website developed that clearly conveys it—to call her. Nicole manages the perfect balance between knowledgeably guiding you while still bringing out your vision and the essence of you and your company.